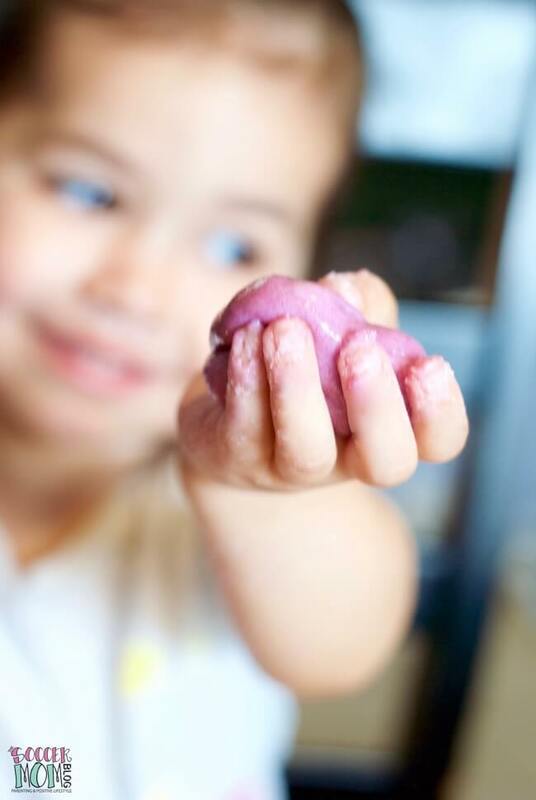 What’s inside: We’ll show you how to make slime without borax – a colorful, taste-safe edible silly putty recipe that only requires 3 simple ingredients! Our very first edible slime recipe, and still one of the most popular! Seeing all the photos of fluffy, squishy slime on my social media, I’ve been itching to give it a try. I loved playing with Gak, oobleck, silly putty, and Flubber as a kid, and I know my girls will love it too! Everyone is crazy over slime and silly putty right now! In fact, many stores are actually running out of glue (a common slime ingredient). 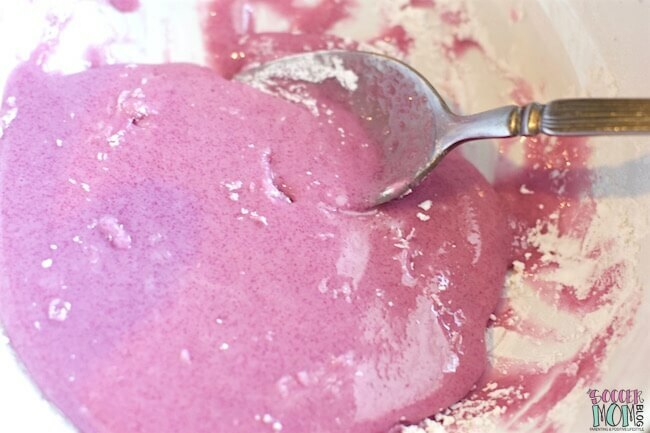 If you can’t find glue, or prefer to use safer ingredients (in case you have a little one that likes to put stuff in their mouth), then this taste-safe easy slime without borax is the recipe for you! Since I have small children, I decided to figure out how to make slime without borax and glue, based on a recipe I used growing up. Except I added an extra “secret” ingredient that gives the silly putty color and flavor. It even changes color when you mix it! 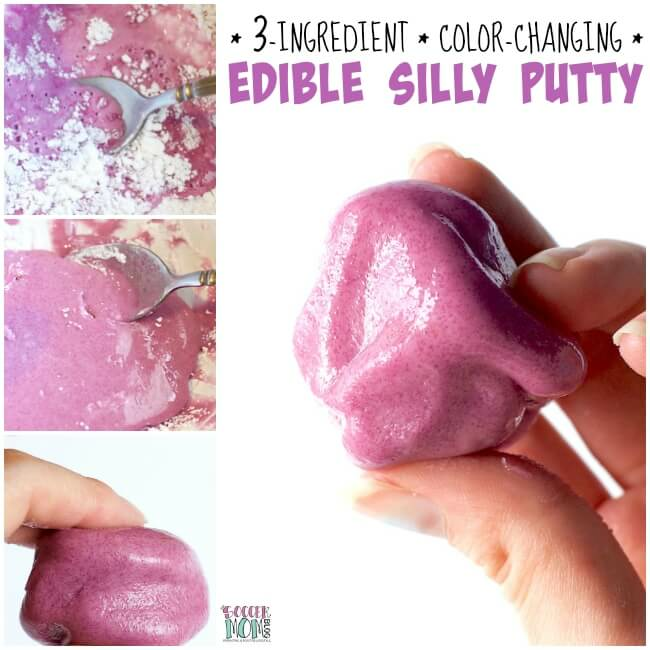 Not only is this easy silly putty recipe non-toxic…it’s edible! Actually, it tastes pretty yummy! Not that I recommend eating the whole batch, but if your kids lick their fingers it’s all good. How Do You Make Slime without Borax? Borax is one of the most common slime activators – it causes a chemical reaction when combined with glue that results in streeeetttcchhyy particles and slime! However, like I mentioned above, it may not be the best choice for young children or those with sensitive skin. 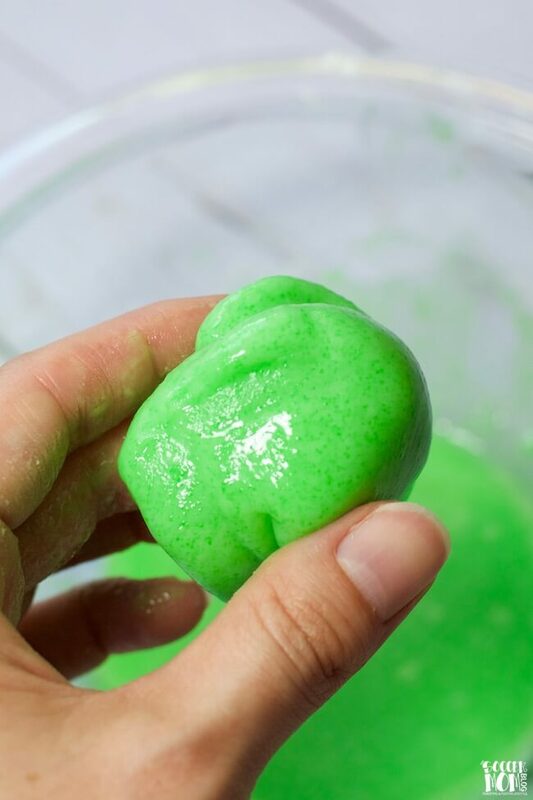 The good news is that you can make an amazing slime recipe without borax! Actually we’ve made a LOT of homemade slime without borax! But there is one big watch-out when learning how to make homemade slime without borax…. 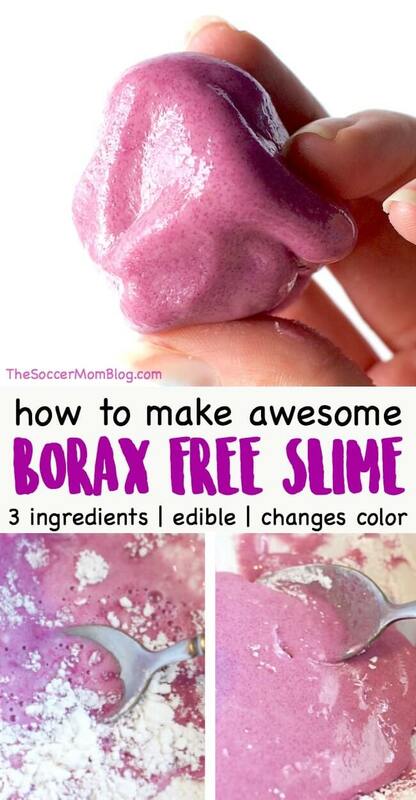 Many so-called borax-free slime recipes actually contain a form of boric acid, which is essentially the same thing. If you see contact lens solution, laundry detergent, liquid starch in the ingredients of a slime recipe — those are not truly borax-free slime recipes. We’ve made plenty of slime recipes with contact lens solution and liquid starch as the activator, with no adverse effects. However, with young kids, I like to err on the side of caution, which is why we make so many taste-safe and easy slime without borax. 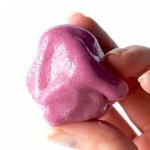 Updated January 2018 — This edible silly putty was hands down our most popular slime recipe of 2017! Be sure to check out the demo video in the printable recipe card at the bottom of the post! Keep in mind that this DIY slime without borax won’t behave exactly like stretchy glue/borax slime, as they have different properties and react differently. However, I feel that safety aspect of an edible slime is well worth the trade, especially with younger children. Tip: Don’t have Jello? Try our edible pudding slime recipe! A free printable copy of this recipe as well as a video demo that shows exactly how to make slime without borax is available below our step-by-step photos. 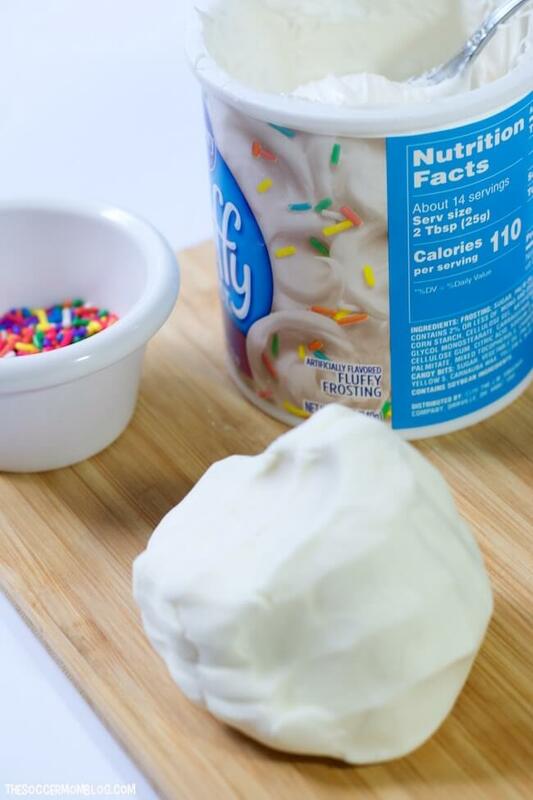 To make our DIY slime without borax, begin by pouring cornstarch and sugar-free Jello in a medium mixing bowl. TIP: In case you’re wondering why I recommend sugar-free Jello, I find that it doesn’t stick to hands as much as regular Jello. Either will work for the recipe, but sugar-free is a bit less messy. Continue to add water little by little until the silly putty clumps together instead of sticking to the bottom/sides of bowl. 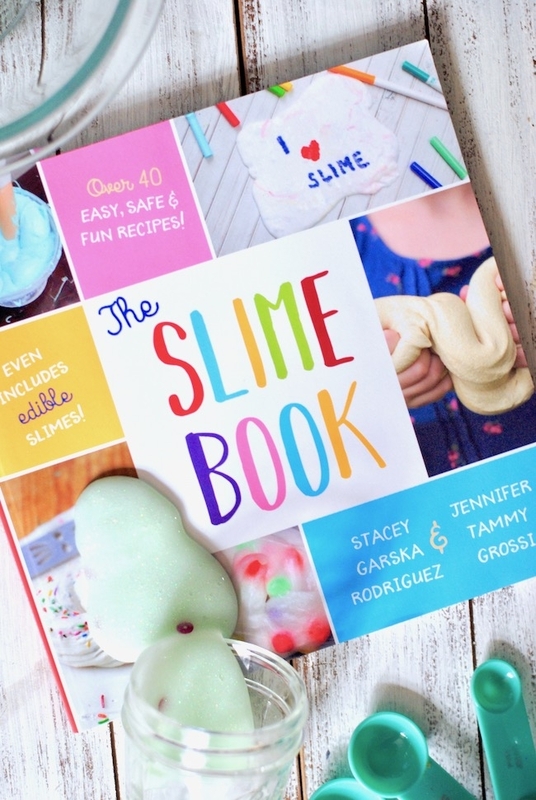 Keep reading for tips on getting the perfect slime, cleanup, and slime safety, as well as more of our favorite slime recipes! You can’t really “mess up” making this recipe. If it’s too runny, simply add more cornstarch. If it’s too thick, add a bit more water. (Note that this is similar to classic “oobleck” putty, as opposed to stretchy and bouncy kinds made with chemicals). 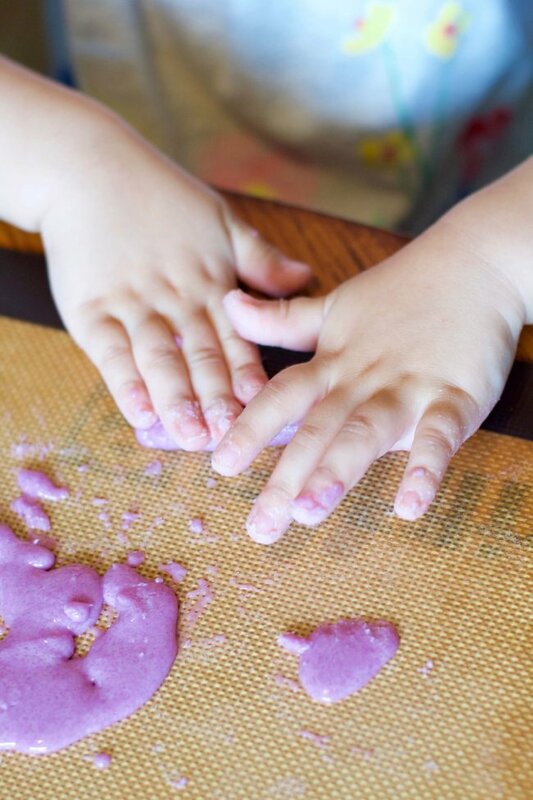 If putty begins to dry out or crumble, add a teaspoon of water and squish to rehydrate for more play time! “Cool” colors like green, blue, and purple are less likely to stain hands. Just a note: this putty is taste-safe, but it’s not a food item and not meant to be eaten in large amounts. Always supervise young children when playing with this silly putty. LIKE The Soccer Mom Blog on Facebook for daily family inspiration! 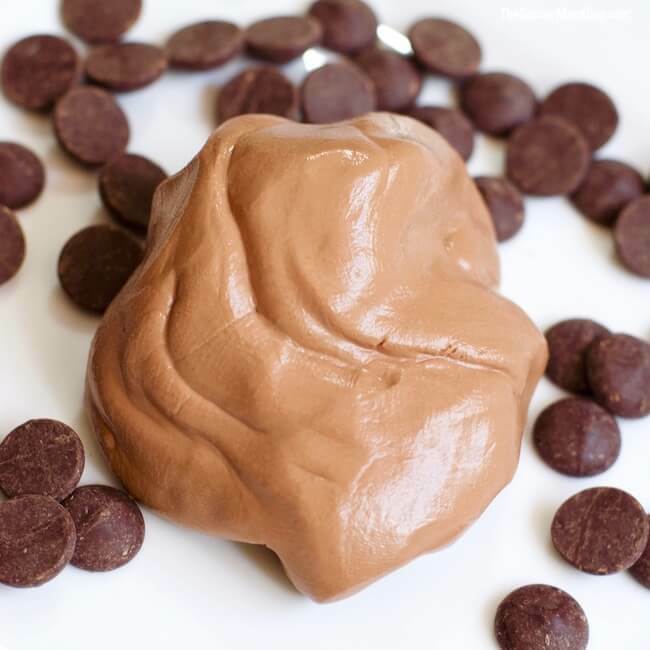 There are three starter slime recipes that form the base for hundreds of awesome slime variations, like this Edible Silly Putty Slime. Once you master these basic recipes, you can make almost anything! One of our readers shared this simple tip for mess-free play and we loved it so much that we asked if we could share! 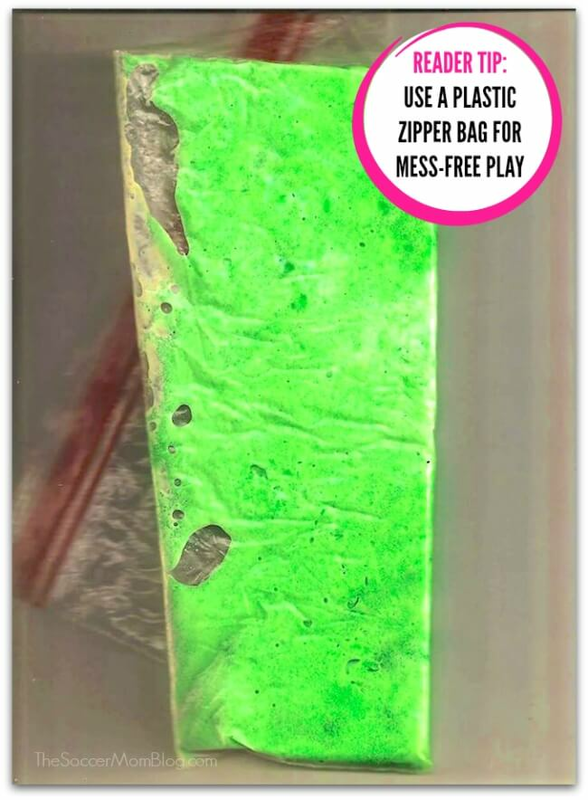 For mess-free slime play, simply scoop your silly putty mixture into a plastic zipper bag and seal. It’s also perfect for kids that don’t like sticky hands and it keeps slime from drying out as quickly. Win-win! Have you make this DIY slime without borax? Let us know what you think in the comments below! How to make slime without borax - a colorful, taste-safe edible silly putty recipe that only requires 3 simple ingredients! Our very first edible slime recipe, and still one of the most popular! 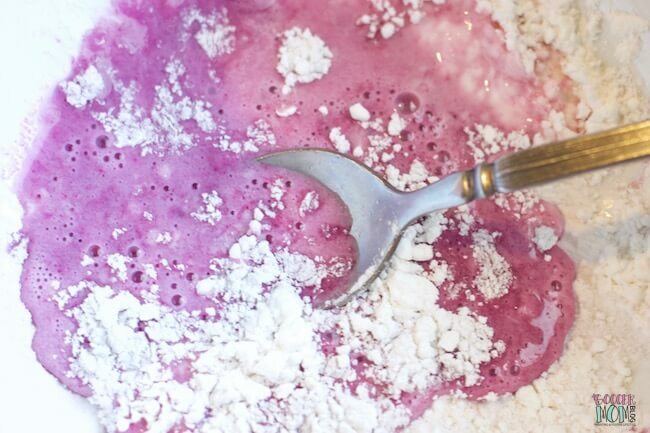 Combine cornstarch and sugar-free Jello powder in a medium mixing bowl. Begin adding water to dry ingredients, 2 tablespoons at a time. Stir until a paste begins to form. Don’t miss: Check out our Master List of Edible Slime Recipes for Kids here! Smells just like a cup of hot cocoa – yum!! Seriously, this soft homemade play dough smells out of this world! No cooking required to make it! Tried it super good recipe? What a wonderful recipe. I love it, and I know my little ones will too. Perfect for summer fun. Thank you so much for sharing this with us. Sounds great! This is just what I need for my 1 year-old. What color does it turn if you use regular gelatin? Hi Summer – The color depends on the gelatin mix, so if you’re using regular (unflavored), your dough will stay white. Is there a reason for sugar free vs regular jello in this recipe? How long will this last if kept sealed between play times? Hi Sally – I would say this is a 1-2 use slime recipe, since it is made with food ingredients. If kept sealed, you can add a little bit of water and try to rehydrate, but I wouldn’t allow kids to taste on the 2nd play. Hope this helps!